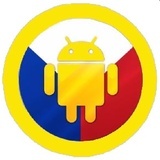 The #1 Online Source for Androids in the Philippines! NOTE: This product is compatible with the four global GSM frequencies: 850MHz, 900MHz, 1800MHz, 1900MHz(works World-Wide) and supports 850/2100mhz 3g WCDMA. This great phone can be used anywhere in the world. Sign up and get P350! © 2016 PinoyAndroids. All Rights Reserved.